Rest, Relax and enjoy this upgraded 1 bedroom condo sleeps four comfortably. Private balcony off living room with ocean view. Fully equipped kitchen complete with all stainless steel appliances and granite counter tops with table dining & bar seating . Flat screen in the living room and flat screen also in bedroom. Personal Private internet! Queen sleeper sofa in living room. Ceiling fans in the living room and bedroom. 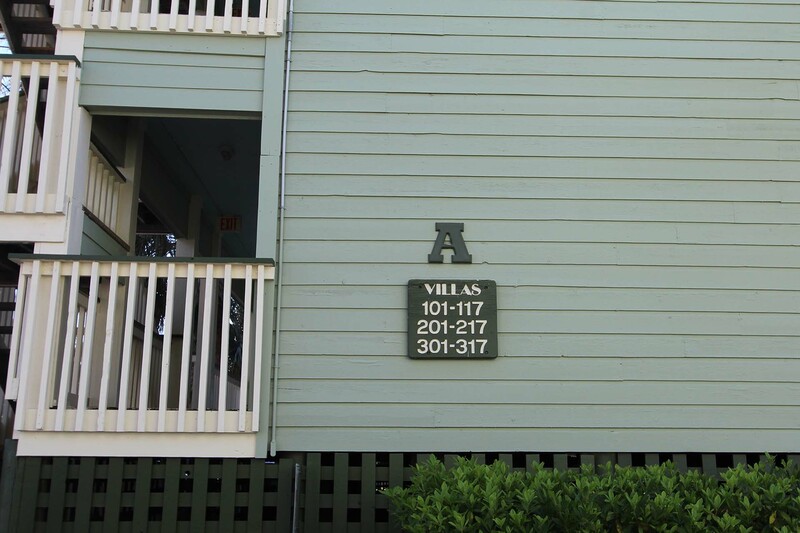 Access to beach/fishing pier/community pool/complex laundry facility. Sea Cabin Community Wireless Internet available at no charge. 490 sq ft. Linens Included. No Smoking and No Pets Please. My husband and I enjoyed our week at Isle of Palms! We loved Sea Cabins— Unit 116A and will be back. It was so nicely decorated and clean. The location was perfect! Sea Cabin 116A was a nice unit. It was cozy, great for 2 people. Although it had bunk beds and could technically sleep 4, it would have been a tight fit. The unit was very clean, and the kitchen was well appointed, though tight if more than one person needed to be working there. The bathroom was nice, though lacking in counter space and hooks or towel bars, so a bit inconvenient in terms of hanging clothes/towels and doing hair/makeup (not enough room to lay things down on the counter). Laundry was not in the unit, was across the parking lot, which was fine. I called Island Realty with a noise complaint (construction was being done on the unit above and it was noisy in our unit most every afternoon. They responded very quickly and were very nice. Though they didn't manage the unit having the work done, they did try to contact the property manager to see if something could be done. Apparently, it could not. We weren't in the unit a lot during the day, but some evenings the pounding continued until 9pm, which was annoying. The location is great, right on the beach, can walk to shops and restaurants, grocery nearby, and right at the connector, so access to Mt. Pleasant is easy. I would consider staying here again if it was just my husband and I, after checking for any known construction projects which might be planned. Check in after hours convenient. First night kept awake by a crying cat at our door, then awakened by a woman's voice apologizing to the cat: "I'm so sorry!' I think the cat belongs to the people above; as they told my daughter it had gotten out. Condo needs a deep clean- pretzels under chair, the couch upholstery needs cleaned, crumbs underneath couch after pulling out sleeper sofa, dried liquid on sides of green ottoman, crayon markings on flooring. There needs to be more blankets, as there was only one on the bed and none for the sleeper sofa. The balcony was decorated with the cigarette ashes from the people above- railing and table and chairs. add a fly swatter to utility closet, and repair bedroom rug by securing it to the floor--afraid someone might be tripped! Liked the upgraded kitchen appliances and living room which both were very nice and up to date. The room was nice overall, but missing a few things such as hooks for towels on the balcony, hooks for towels in the bathroom, and the AC / Thermostat needs to be replaced. It was broken and you could never tell what the temperature was in the room. It would be very hot one minute to cold the next and did not seem to regulate temperature well. The rug in the bedroom was curled up and a tripping hazard. Also, the bed was very uncomfortable and we hardly got any sleep the week were there. This unit is well maintained and has a great ocean view. My family and I have been staying at Sea Cabins for the past nine or ten years. This is the first stay in this unit. I would rent it again. Hopefully, our stay won't be cut short again because of a hurricane. easy booking, easy check in, place clean and neat and convenient. Only thing would liked to have had more towels. first time staying here and will return. The location was great! The cabin was clean except for the flooring, I had to sweep it, but you really can't avoid the sand. The kitchen was well equipped and I was able to find everything I needed to cook with. The MB bed was too hard for me, but I like soft, so if you are ok with a firm mattress that it will do. I had enough room for me and two boys to comfortably stay. I will say that this cabin is on the first floor close to the stairs, so if you are not an early riser, you may be awaken, starting around 6am because of stair noise. But by 10am it was better. The unit needs weather stripping around door. The bathroom door knob needs replacing it doesn't lock. Over all i really enjoyed our stay and the unit we were in. The room was nicely updated and felt clean and welcoming. We have stayed at Sea Cabins several times and this was the best room this far! We really enjoyed our recent stay at the Sea Cabins. Although cozy, our grandsons had room to sleep and the kitchen was well-equipped. The space was clean and bright. Our 15 year-old especially loved catching and releasing small fish and baby sharks off the pier. The 2 year-old loved the kiddie pool and playing in the damp sand under the pier. We’ll be back! Thanks!